Ever find yourself in a restaurant or on a wine tour, not knowing which wine goes with what food? Clearly your interest in wine has peaked to the next level. Although it’s not imperative to match your wine with specific food, there are food and wine pairing guides for a reason. 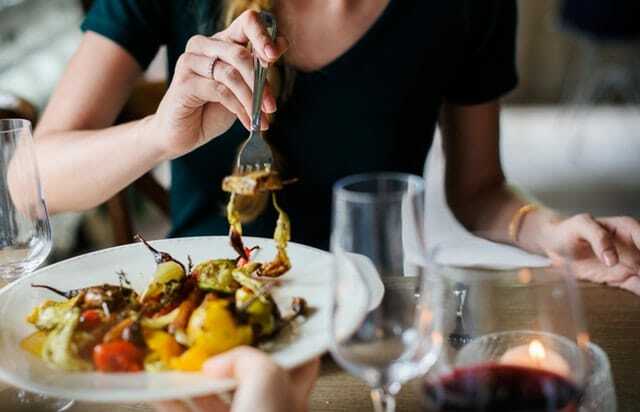 Great food and wine pairing creates a fine balance between the flavours of a dish and the characteristics of a wine, making your favourite wine taste even better. Now, don’t worry too much about getting your head around all of this. You may be surprised to know that you are probably already doing it, and quite well at that. For example, would you usually order a glass of full-bodied Malbec with a fillet of fish? Or a glass of crisp Chardonnay with a boeuf bourguignon? You might. Stranger things have happened… But it’s unlikely for most. In our latest blog from Top Gun Tours, wine tours in Perth, we provide you with a little beginner’s guide to wine pairing. If you’re in the mood for seafood, then a silky white such as a Chardonnay is the choice for you. The sophisticated taste and scents of the white wine pairs deliciously with a barramundi or salmon, or any kind of seafood for that matter. If you consider yourself more of a carnivore and enjoy a red, then you’re likely to be pairing your porterhouse with Cabernet and Bordeaux-style blends. The firm tannins in these wines refresh the palate after each bite of meat. In the mood for cheese? A glass of dry rosé please! Some cheeses go better with red wine and some with white, but almost all pair perfectly with a glass of dry rosé. This is due to the blended acidity of white wine and the fruit character of red. You can’t go wrong with a glass of Sauvignon Blanc. The hint of fruity flavours in the wine extract even more flavour from the chicken – a classic combination. So, you’ve hit the sweet spot of the night and it’s time for dessert. Now, your wine of choice here will differ depending on the type of dessert you are going to indulge in. For desserts such as cakes and pies, the Bordeaux-style blend totally complements the sweetness of any piece of dessert you’re enjoying. Merlot is among the easy-to-drink red wines out there and this is the perfect choice to enjoy with any type of dark chocolate. The smoothness and elegance of a Merlot bottle pairs ideally with your choice of dark chocolate. For those who prefer their dessert on the fruiter side, such as a fruit tart or ice cream and fruit, sweet sparkling wines such as Moscato, emphasize the fruit in the dessert, rather than the sugar. And then of course, if you like something extra sweet to go with your sweets, there are always your traditional dessert wines such as Sherry, Muscat and Port. So, there you have it, now you have an idea of which foods to pair with your wine. Whether you’re in a restaurant, at home, a bar, or even on a wine tour, you can start trying out your new skills today! At Top Gun Tours in Perth, we visit the Swan Valley for wine tours three days a week. Why not come on a wine tour and enhance the experience by testing your wine pairing skills over a delicious lunch? Posted in Wine Guide and tagged Food & Wine Pairing on 13th April 2018.